Iron Mountain is a global company that provides a wide range of documentation storage, shredding, backup and recovery services. 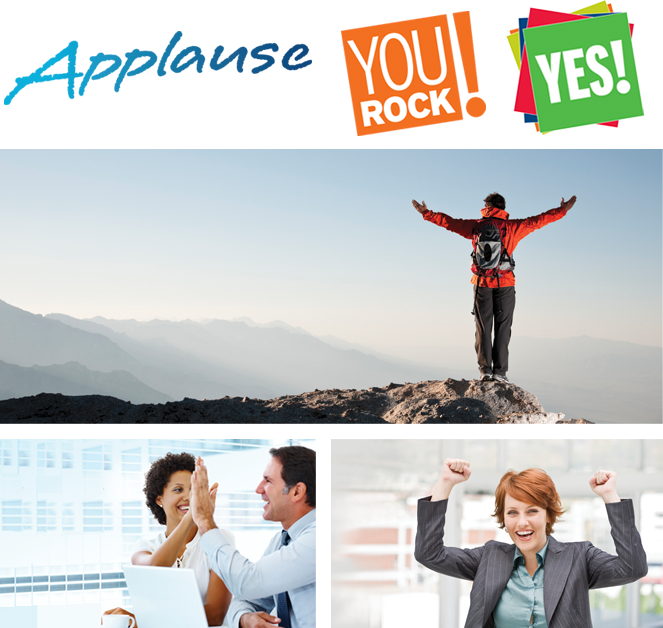 Iron Mountain consolidated its many employee incentive and recognition programs into a single program called Applause, which included a recognition program (called You Rock) and an anniversary recognition program that was yet to be named. 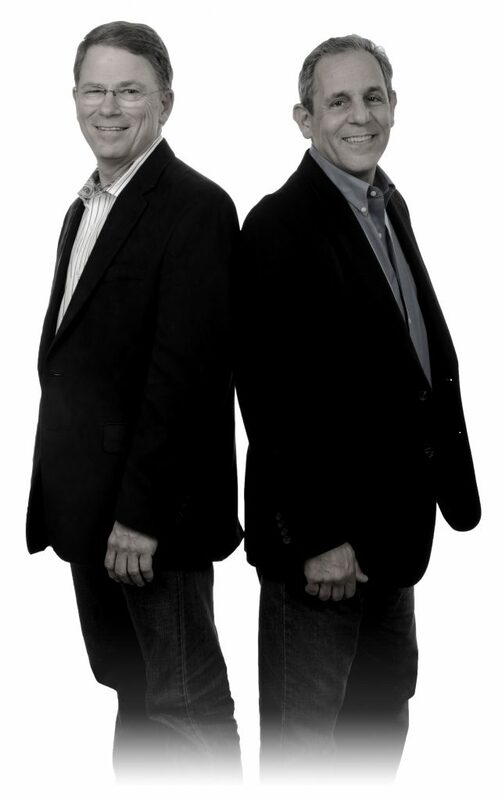 The company needed assistance with program development, branding and communications. We developed a distinctive program brand which worked within the overall corporate brand guidelines. We directed the web fulfillment partner and created all materials to guide the execution of the program and communicate it to Iron Mountain employees. Through our discovery process, we learned that Applause, the consolidated recognition program needed to be accessible to both online and off-line employees since many of the company’s workers do not have company-provided Internet access. The program, as it had been conceived, was complex. Multiple quarterly winners would be chosen and each quarterly winner would be eligible for year-end awards. The program would be worldwide, meaning the rules would have to be tailored to each region. All materials would need to be in multiple languages. We identified two distinct audiences for marketing communications—employees who would take part in the program and managers who would be charged with executing and promoting the program. 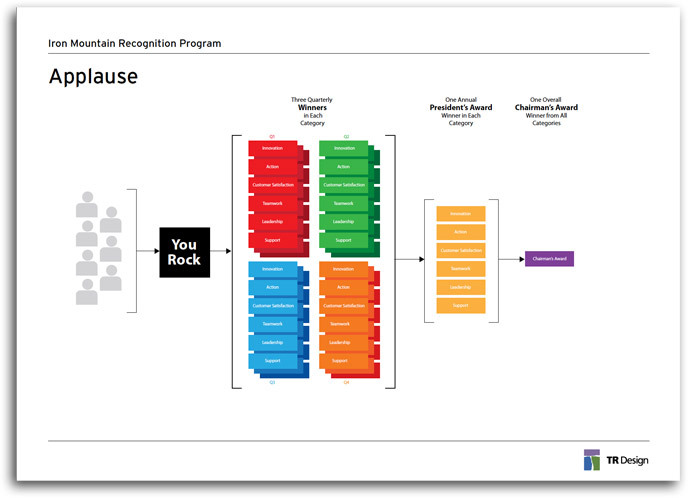 Employees are often referred to as “Mountaineers” and the existing You Rock program name reinforced the “mountain” metaphor. Working within the established corporate brand guidelines, we developed an energetic and positive brand tone intended to get employees actively engaged in the program. We wrote, designed and produced a wide range of online and off-line promotions and produced program guides for employees and managers in multiple languages. This program was one of the more complex assignments we’ve tackled and for that reason, I believe the value of our service was even greater. Not only did we need to clearly communicate the program to its various audiences, we played a critical role in determining exactly how the program would work. I spent many hours on the phone with the client, working out the details: Who is eligible? How does the program differ by region? How are winners chosen and what do they win? How do they redeem awards? Can they bank awards or must they spend them when received? How is the recipient notified? How does someone without internet access participate? I enjoyed the challenge. 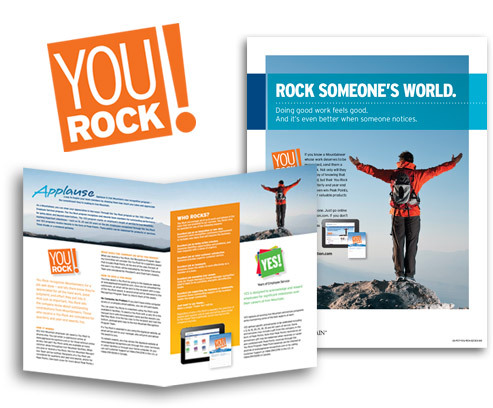 Since Iron Mountain employees refer to themselves as “Mountaineers”, and the company’s recognition program is called You Rock, it seemed appropriate to use metaphorical images of rock climbing to communicate “working as a team”, and “reaching the pinnacle”. The company’s brand guidelines recommend the use of “real” workplace imagery, which we determined would cause the materials to look like marketing communications rather than internal communications. We created a design that incorporated both types of images appropriately, and developed a set of guidelines directing the proper use of the brand images.